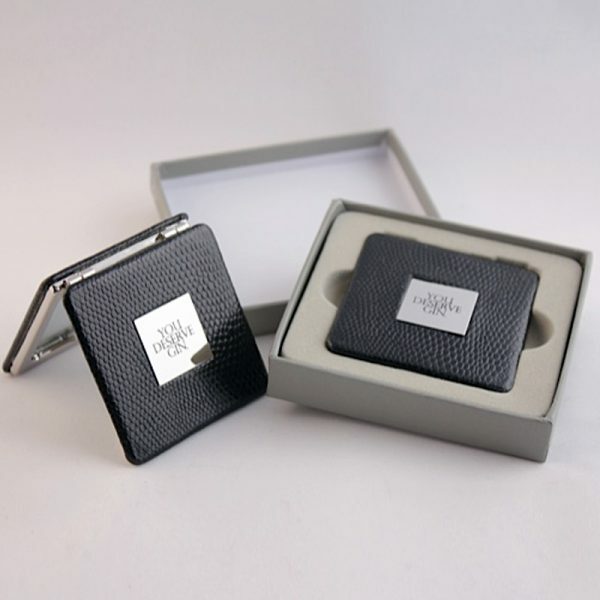 Black vanity square compact with standard and magnifying mirrors. Polished nickel trim and magnetic closure with leather-like lizard cover. Text on outside: “You deserve gin.”. Measures 6.4 cm squared.